The PowerPax CR123 Battery Holder offers a perfect way of storing and organising your batteries in a tough, compact and easy to find caddy. 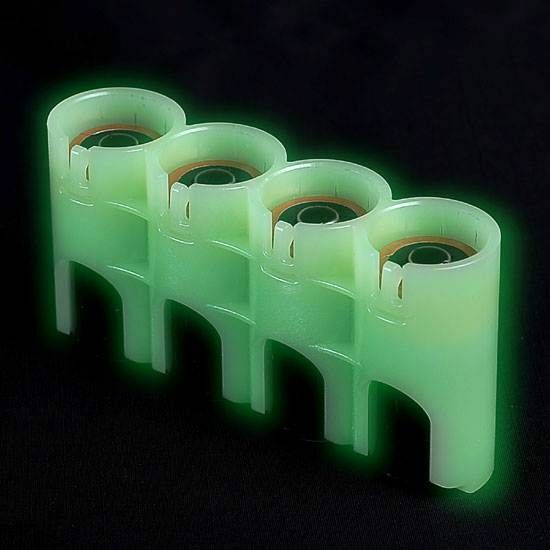 Manufactured in glow in the dark 'Moonshine', these holders will save you from fumbling about in your rucksack in the dark trying to find your spares. This particular model holds up to 4 x CR123 batteries. Anytime you head out into the wilderness with your headtorch or flashlight, it makes sense to carry at least one set of spare batteries with you. The PowerPax Holder simply helps to keep your kit organised and your batteries safe and easy to find. PowerPax Battery Management Systems came out of the world of aviation, but soon won favour with many other industries and consumers who need to safely store and carry batteries; they are now used by personnel working within law enforcement, the emergency services, Search & Rescue and the military. PowerPax CR123 Battery Holder - Moonshine is rated 5/5 based on 5 customer reviews. Excellent storage option for this size of battery. Great little bit of kit; don't even notice it in your pocket. Great for extra battery carry in the winter months. Doesn't need a lot of light to activate glow in the dark feature, enough to be found. Very well made product. I have two now, one for AAA's and this one. 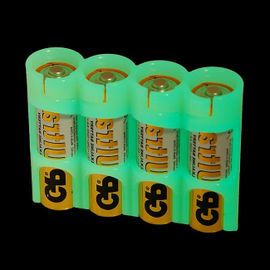 They look a bit of a gimmick, glow in the dark, but have come in very handy when your looking for fresh batteries in the middle of the night! 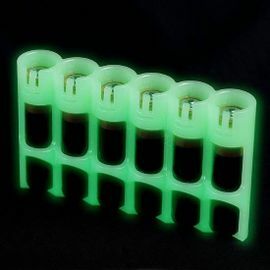 Nice item, keeps batteries safely stowed together and always handy to be able to find this kit in the dark. Excellent for storing batteries safely during transport. Submit it to sunlight, a lamp, flashlight, etc and it REALLY glows brightly in the dark, I was even able to read from a book in a completely dark room. Built to last. I highly recommend this product. A tip: Store the used batteries upside down so you know which ones are charged.